Prepare the sauce first. Combine all ingrediends and mix well. Refridge until ready for use. Grind the Fiber One in a food processer or blender until it is bread crumb consistency. Season with garlic powder, salt, pepper, cayenne pepper, thyme. Set aside. Cut off the top section of onion leaving the flat bottom intact. Peel off outside layer of onion. Cut the onion down the middle stopping about 1/3″ inch from the bottom. Continue cutting into four sections (top to bottom). 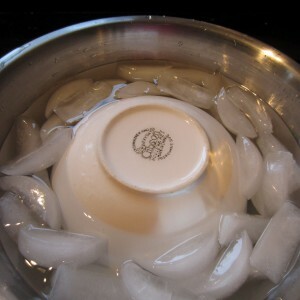 Place onion in a large bowl filled with ice water. Completely submerse. I place a bowl over the top of onion to help it stay seated in the ice water bath. 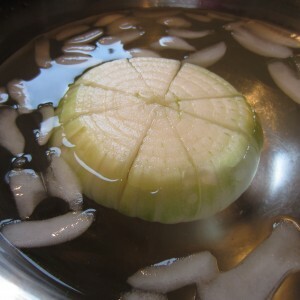 Let onion set for 15 minutes in the ice water to allow petals to open. 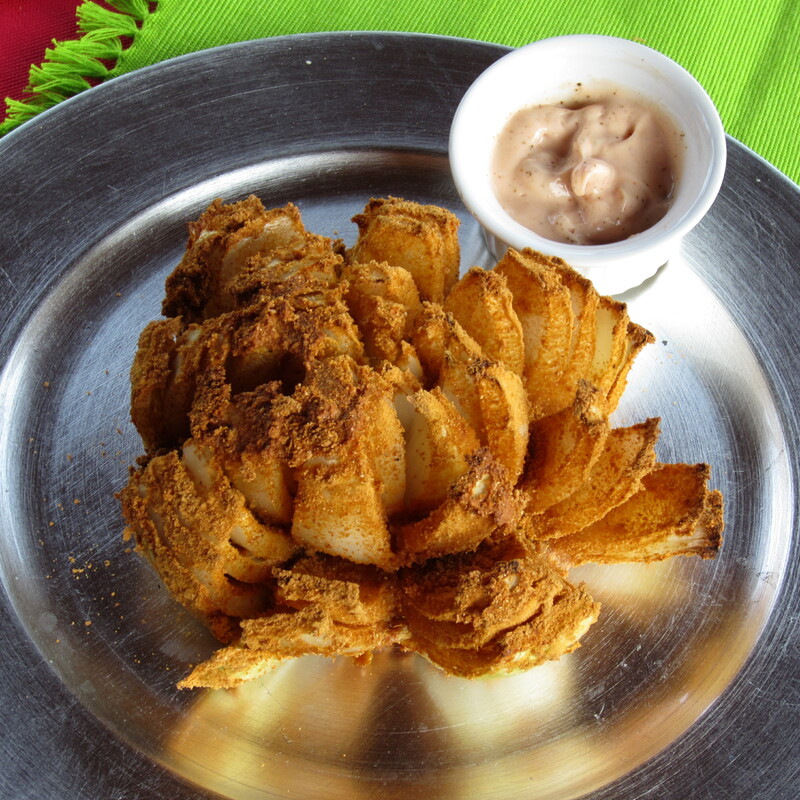 You will need to help the petals open by gently prying them open once the onion has had time to soak in the water. Remove onion from water and drain water from bowl. Using your hands help open up the onion petals. Gently pry without separating them from the base.Pour egg mixture over the petals. Coat between all petals. Also coat the outside of the onion. Transfer onion to a dry bowl.Sprinkle ground Fiber One mixture over the entire onion and between the petals. You don’t want any dry spots. 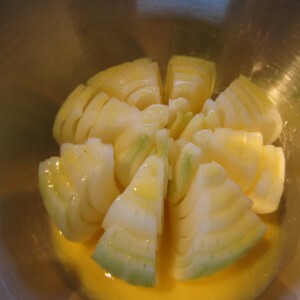 Once the onion is coated, place on a cooking sheet sprayed with non-stick oil. Spray all the onion petals with non-stick cooking spray as well. Bake in 400 degree oven for 40 minutes. You want the outside cripsy. 1/2 of this breaded/baked onion with dipping sauce is in the neighborhood of 200 calories.